Situated in the centre of magaluf beach, BLACKBEARD’S beach bar is the perfect place to relax and unwind. with home-made food, premium cocktails, live music and amazing views of the bay, you could not wish for a better place to spend your holidays. this many people can´t be wrong! 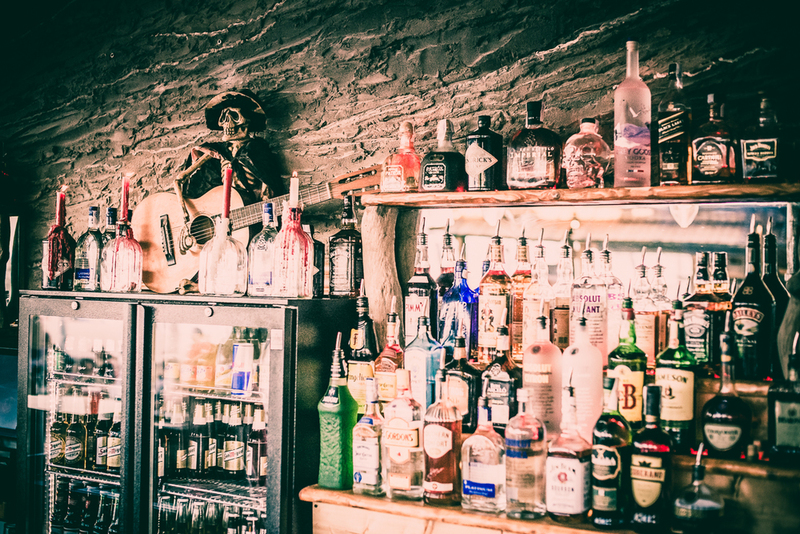 Stocked with the best booze in town and staffed by people who know what they are doing! With an extensive range of alcoholic and none-alcoholic drinks and smoothies, there’s something for everybody’s taste. Our friendly and welcoming team are more than happy to help with any questions or queries you may have. With boundless energy and bright smiles who better to serve you on your visit! Cooked on our open BBQ grill, choose from an extensive menu of homemade burgers, steaks, Speciality Captain Morgan BBQ Ribs, delicious salads, pastas and much more! Come down and find your favourite! *April & October opening times may vary.